When thinking of a stubborn type, you wanna think of someone who just doesnt know when to quit and die. 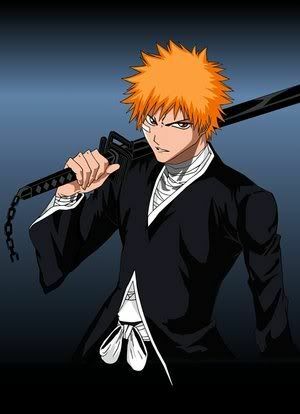 Who better than to think of Ichigo, someone as strong headed and strong will as this will give you a run for your money. You'll wanna give up the fight out of annoyance once you get into it with a stubborn type.